With Photokina getting closer, it is no surprise that we got a lot to talk last week in terms of equipment. This week we have a pretty techy digest for you folks, so sit back and prepare yourselves! So, Canon finally decided to release their contribution to the Mirrorless world with much fanfare. This week they announced a very promising system that includes a body with a new lens mount, and of course, a new lens lineup to match. 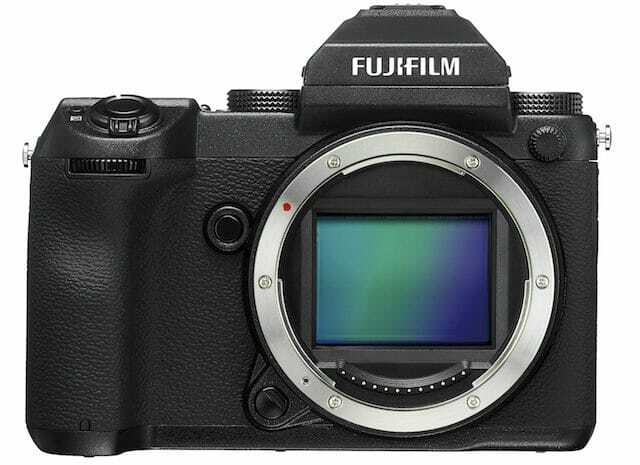 Fujifilm’s posture is clear, they are not interested in full-frame formats. This week they released their third version of their mirrorless flagship, the XT-3. This camera system has some legacy already, and we can expect nothing less than extreme quality. Is Fuji about to change digital photography forever? Last week we talked about the positive implications for photography behind this strategy of making medium format a way more accessible format for photographers all over the globe. We are just speculating here, but this could mean big things for cinematography if they manage to integrate their Cine lenses line-up with this camera! Apparently, the adequate response for the exclusive brand Phase One is to simply crank sensors up to 150 Megapixels. Honestly, they’ll need to do more on the innovation side instead of aiming to reach the gigapixel camera with Fujifilm giving the masses the medium format they deserve. This is not a critique, it is just an opinion. One of the most valuable assets from Nikon is their NIKKOR lens lineup. Not this week exactly, but a couple of days ago they released a lens they announced the development of back in June – a 500mm f/5.6. If you are into action, sports and wildlife photography this could be a great solution for you. Enabling image development in the digital age via a physical medium is an amazing experience. Fine tweaking an image with a precise graphics tablet is really satisfying. This week Loupedeck announced their new Lightroom Console, and it looks amazing! Jibon Ahmed, a Bangladesh based photographer got in some really messy trouble thanks to publishing a photo of a young couple kissing. We are not criticizing a foreign culture, but it is hard to hear that a fellow photographer was beaten for posting a photograph. Maybe what people can do when living within this hermetic cultures is to create an alias or a side account. This is very difficult and ultimately, what we don’t want to see is any more photographers getting in trouble for doing what they love the most. Our support goes out to Jibon Ahmed and we hope he continues publishing images. For the first Art Photography Award from LensCulture, they selected 38 contemporary photographers from 18 different countries, which are making a pretty remarkable work these days. In this essay by Canadian photographer Amy Friend, you’ll find a series of particularly creative candid photographs with a very intriguing and illuminating twist. Another selection from The Atlantic showing some really interesting stuff going on all over the globe. The style and mythology of Mid-Century Modern California architecture as seen through the eyes of American photographer Marvin Rand, one of the best architectural photographers ever. This entry was posted in News on September 16, 2018 by Federico Alegria.